Don't forget to enter the draw for a copy of my second novel, Kris Kringle's Magic! Simply go here, become a follower, and comment! Which were much more than mere footwear. They were, in fact, the signal that opened and closed the work day. And a source of entertainment. 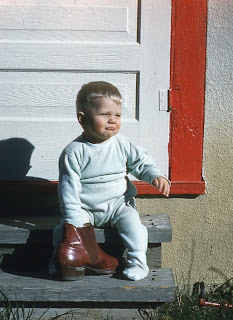 Facing away from Dad and bent forward, clutching said boot with both hands. This procedure signalled the end of the work day. Odd, isn't it, that a humble pair of boots would assume such proportion in our daily life. Now in his late eighties, Dad still wears boots. They replace his slippers when he is going outside. Staring at the boots he now pulls on. A big thank you to Kathy at I Am a Reader, Not A Writer for hosting this month's giveaway, Reading Clean! Kris Kringle is the round, jolly, elderly man that everyone knows. The man who spends his life giving. But have you ever wondered about the boy he was? Magic explores the background of the world's most beloved fictitious character. Illustrates the experiences that forged courage and strength, and made the boy into the man. It also tells the story of the girl, Rebecca, who will one day become his wife. It is accepted that Kris Kringle lives at the North Pole. But have you ever wondered how that happened? It must have taken some world-changing, even traumatic event to force an entire race to take up lodgings at a place so utterly inhospitable and unwelcoming. Kris Kringle's Magic is a story of prejudice. Of hatred and fear and abuse. And of true forgiveness and love. You will never picture old Kris Kringle in the same light again. If you loved him before, you will love him even more now. 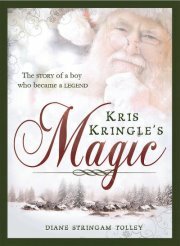 Filled with messages of love, forbearance, humanity and courage, Kris Kringle's Magic is the perfect Christmas story for the whole family. Using the dark themes of slavery and abuse, it proves that, with love and spiritual courage, one man can make a difference in the lives of thousands. Even millions. Let Kris Kringle's Magic change your world! I am giving a copy of this, my newest book, to one lucky blog follower. 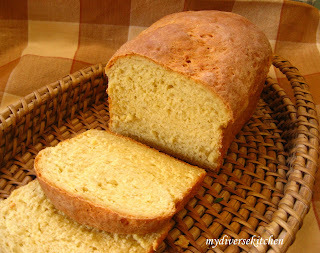 All you need to do to enter my draw, is to become a follower AND leave a comment on this blog. Often, it was followed, almost immediately, by the sight of children munching thick slices of fresh yumminess, thickly spread with fresh butter. Which I . . . then . . . ate. And pressed and moulded the rest. The biggest one being that it's rather hard to spread any significant amount of peanut butter or nutella on a tightly pressed ball of dough. Mildred, my friend has a marvellous nose. But with all of it's beauty, her friends still make fun. Labels: Known by your nose?